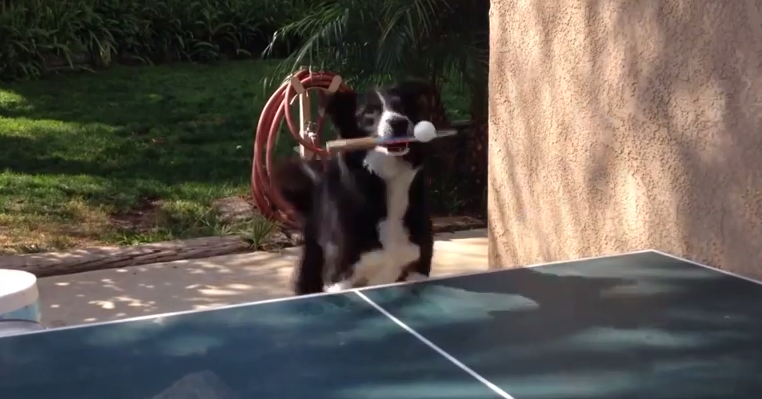 While this video of a dog playing pingpong certainly looks real, I’m struggling to believe it is. Also, this seems like the appropriate time to ask, do I owe Air Bud an apology? All these years I’d written off those movies as pure fiction, but maybe they were documentaries all along. After all, if this dog can really play pingpong this well, who am I to question if a dog can really slam-dunk a basketball? Think I’m exaggerating about this dog’s skills? Well then, watch the video, and prepare to be wowed.